Ioannis works in the area of quantitative methods on both the development of numerical techniques and applications in the fields of operations research and management science, finance, actuarial science and sector studies, including derivatives, risk management, shipping, commodities, pension product design and communication, stock returns forecasting and machine learning. His recent research contributions have appeared in the European Journal of Operational Research, Mathematics of Operations Research, Transportation Research Parts A and E, Review of Finance, European Financial Management, and others. He has served as a special editor for Risks, the International Journal of Finance & Economics and the Annals of Operations Research, as well as a reviewer for world-leading journals in the fields. He is co-chair of the Quantitative Finance and Risk Analysis (QFRA) Symposium. He is the Director of the world-renowned Cass MSc in Actuarial Science and of Cass London Summer School. In addition to his work at City, he has been a visiting professor at the Università del Piemonte Orientale and an affiliate faculty at Cyprus International Institute of Management. Previously he worked for Lloyd’s Treasury and Investment Management. 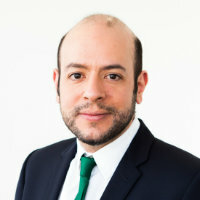 Ioannis obtained his PhD in Finance from City, following his MSc in Risk and Stochastics from LSE with distinction, and his first-class BSc (Hons) degree in Actuarial Science from City. He holds the Diploma in Actuarial Techniques, is an affiliate member of the Institute and Faculty of Actuaries and acts as an independent examiner for them at several accredited universities. Kyriakou, I. (2015). Introduction to Probability and Statistics. McGraw-Hill Education. ISBN 978-0-07-717765-2. Pouliasis, P., Papapostolou, N., Kyriakou, I. and Visvikis, I. (2017). Tail risk and the asset allocation problem in shipping equity portfolios. 27-30 June, Kyoto, Japan. Ballota, L., Fusai, G., Kyriakou, I., Pouliasis, P. and PAPAPOSTOLOU, N. (2017). Non-parametric and semi-parametric modelling of weather variables and cost-revenue analysis of ski resort establishments. The 3rd Symposium on Quantitative Finance and Risk Analysis (QFRA 2017) 15-16 June, CORFU, GREECE. Gerrard, R., Hiabu, M., Kyriakou, I. and Nielsen, J.P. (2019). Communication and personal selection of pension saver's financial risk. European Journal of Operational Research, 274(3), pp. 1102–1111. doi:10.1016/j.ejor.2018.10.038 . Corsaro, S., Kyriakou, I., Marazzina, D. and Marino, Z. (2019). A general framework for pricing Asian options under stochastic volatility on parallel architectures. European Journal of Operational Research, 272(3), pp. 1082–1095. doi:10.1016/j.ejor.2018.07.017 . Gerrard, R., Hiabu, M., Kyriakou, I. and Nielsen, J.P. (2019). Self-selection and risk sharing in a modern world of life-long annuities. British Actuarial Journal, 23. doi:10.1017/s135732171800020x . Pouliasis, P.K., Papapostolou, N.C., Kyriakou, I. and Visvikis, I.D. (2018). Shipping equity risk behavior and portfolio management. Transportation Research Part A: Policy and Practice, 116, pp. 178–200. doi:10.1016/j.tra.2018.06.016 . (2018). Self-selection and risk sharing in a modern world of lifelong annuities ‐ Abstract of the London Discussion. British Actuarial Journal, 23. doi:10.1017/s1357321718000272 . Kyriakou, I., Pouliasis, P.K., Papapostolou, N.C. and Andriosopoulos, K. (2017). Freight derivatives pricing for decoupled mean-reverting diffusion and jumps. Transportation Research Part E: Logistics and Transportation Review, 108, pp. 80–96. doi:10.1016/j.tre.2017.09.002 . Pouliasis, P., Kyriakou, I. and Papapostolou, N. (2017). On equity risk prediction and tail spillovers. International Journal of Finance and Economics, 22(4), pp. 379–393. doi:10.1002/ijfe.1594 . Papapostolou, N.C., Pouliasis, P.K. and Kyriakou, I. (2017). Herd behavior in the drybulk market: an empirical analysis of the decision to invest in new and retire existing fleet capacity. Transportation Research Part E: Logistics and Transportation Review, 104, pp. 36–51. doi:10.1016/j.tre.2017.05.007 . Ballotta, L., Gerrard, R. and Kyriakou, I. (2017). Hedging of Asian options under exponential Lévy models: computation and performance. European Journal of Finance, 23(4), pp. 297–323. doi:10.1080/1351847X.2015.1066694 . Kyriakou, I., Pouliasis, P.K. and Papapostolou, N.C. (2016). Jumps and stochastic volatility in crude oil prices and advances in average option pricing. Quantitative Finance, 16(12), pp. 1859–1873. doi:10.1080/14697688.2016.1211798 . Fusai, G. and Kyriakou, I. (2016). General Optimized Lower and Upper Bounds for Discrete and Continuous Arithmetic Asian Options. Mathematics of Operations Research, 41(2), pp. 531–559. doi:10.1287/moor.2015.0739 . Ballotta, L. and Kyriakou, I. (2015). Convertible bond valuation in a jump diffusion setting with stochastic interest rates. Quantitative Finance, 15(1), pp. 115–129. doi:10.1080/14697688.2014.935464 . Kyriakou, I. (2015). Number crunching (2015). Finance & Management Magazine, (Issue 234, July/August 2015), pp. 12–13. Ballotta, L. and Kyriakou, I. (2014). Monte Carlo Simulation of the CGMY Process and Option Pricing. Journal of Futures Markets, 34(12), pp. 1095–1121. doi:10.1002/fut.21647 . Nomikos, N.K., Kyriakou, I., Papapostolou, N.C. and Pouliasis, P.K. (2013). Freight options: Price modelling and empirical analysis. Transportation Research Part E: Logistics and Transportation Review, 51. doi:10.1016/j.tre.2012.12.001 . Černý, A. and Kyriakou, I. (2011). An improved convolution algorithm for discretely sampled Asian options. Quantitative Finance, 11(3), pp. 381–389. doi:10.1080/14697680903397667 . Kyriakou, I., Mousavi, P., Nielsen, J.P. and Scholz, M. Choice of Benchmark When Forecasting Long-term Stock Returns. Review additional products and processes and form an independent opinion as to whether the models are up to date, detailed and parsimonious, and transparent. INFORMS Journal on Computing, Referee, 2017 – present. Annals of Operations Research, Special Co-editor, 2017 – present. China Finance Review International, Special Co-editor, 2017 – present. ASCE-ASME Journal of Risk and Uncertainty in Engineering Systems, Special Co-editor, 2017 – present. Financial Innovation, Referee, 2017 – present. European Financial Management, Referee, 2017 – present. Annals of Operations Research, Referee, 2016 – present. Applied Mathematics and Computation, Referee, 2016 – present. European Journal of Operational Research, Referee, 2016 – present. Finance Research Letters, Referee, 2016 – present. Financial Analysts Journal, Referee, 2016 – present. Operations Research, Referee, 2016 – present. International Symposium on Mathematical Sciences and Computing, Referee, 2015. Journal of Systems Science and Systems Engineering, Referee, 2015 – present. Mathematics of Operations Research, Referee, 2015 – present. Quantitative Finance, Referee, 2015 – present. Palgrave Macmillan Higher Education, Book Reviews Editor, 2014 – present. Journal of Banking and Finance, Referee, 2014 – present. Journal of Risk Finance, Referee, 2014 – present. International Journal of Financial Engineering and Risk Management, Special Co-editor, 2013. The Engineering Economist, Referee, 2013 – present. Applied Mathematical Finance, Referee, 2012 – present. International Journal of Financial Engineering and Risk Management, Referee, 2012 – present. Review of Derivatives Research, Referee, 2012 – present. SIAM Journal on Financial Mathematics, Referee, 2012 – present. Journal of Computational Finance, Referee, 2010 – present. Spring 2016 Conference of the Multinational Finance Society. (Conference) Lemesos, Cyprus (2016). 9th World Congress of the Bachelier Finance Society. (Conference) New York (2016). 2nd Symposium on Quantitative Finance and Risk Analysis (QFRA 2016). (Conference) Rhodes, Greece (2016). Energy Finance Conference 2015. (Conference) Cass Business School, City University London (2015). 1st Symposium on Quantitative Finance and Risk Analysis (QFRA 2015). (Conference) Santorini, Greece (2015). 19th International Congress on Insurance: Mathematics and Economics. (Conference) Liverpool, UK (2015). 4th Energy Finance Christmas Workshop (EFC14). (Workshop) St. Gallen, Switzerland (2014). Invited speaker. Winter 2014 Conference of the Multinational Finance Society. (Conference) Athens, Greece (2014). 8th Conference in Actuarial Science & Finance. (Conference) Samos, Greece (2014). Investor Sentiment for Real Assets: The Case of Dry-Bulk Shipping Market. (Conference) Cass Business School, City University London (2013). Organising Committee. Investor Sentiment for Real Assets: The Case of Dry-Bulk Shipping Market. (Seminar) London, UK (2013). Cass-ESCP 51st Meeting of the Euro Working Group on Commodities and Financial Modelling. (Conference) London, UK (2013). 17th International Congress on Insurance: Mathematics and Economics. (Conference) Copenhagen, Denmark (2013). Managing the Risks of Commodities and Food Prices Conference. (Conference) London, UK (2012). 2011 Shipping Risk Management Symposium. (Conference) Hamburg, Germany (2011). Third Conference on Numerical Methods in Finance, École des Ponts ParisTech. (Conference) Paris, France (2009). Finance & Stochastics Seminars, University of Sussex. University of Sussex (2017). 5th NUS Workshop on Risk and Regulation, National University of Singapore. National University of Singapore (2017).